Mansfield Roadrunners Club brought smiles to the faces of youngsters in King's Mill Hospital, with the return of their annual Easter egg run. 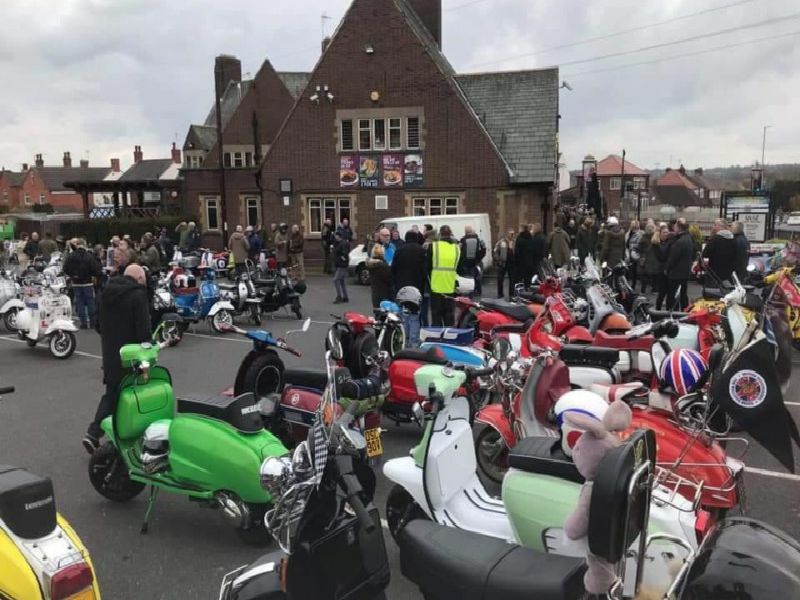 Hundreds of scooters took to the streets of Mansfield at the weekend to deliver Easter eggs, gifts and money from fundraising to the children’s ward and neonatal unit. The club delivered donations and eggs on Sunday morning as part of an annual Eggs to the Mill event. The Eggs to the Mill run now in its 14th year - saw more than 300 kind-hearted riders present a cheque for an amazing1,070to the hospitals Neonatal Unit. As well as the cheque, the scootersists delivered hundreds of Easter eggs and gifts to the childrens ward. Organised by club chairman Shaun Clibbery, Christopher Patrick and Mansfield roadrunners scooter club, DJ Rob Zombie kept the scooterists entertained.